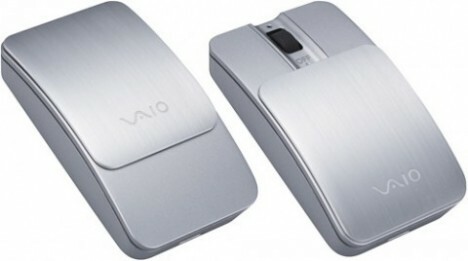 Sony has lately introduced a new and compact Bluetooth mouse, namely VGP-BMS10 which targets particularly its flagship product VAIO ultraportable laptop users. The compact size and aluminum casing with a sliding cover presents an elegant and sensational feel to this new Bluetooth VGP-BMS10 mouse. The tiny mouse features an 800dpi laser sensor which supports up to 10-meter or 30-foot in range. The sliding cover on top of the mouse helps to protect the scroll wheel when it is not in use. With this simple protection, it helps to prolong the mouse’s lifespan and prevent the scroll wheel button from being activated when it is not in use. At the cost of $70, the Sony VGP-BMS10 Bluetooth mouse will be available in August and works with Windows only.